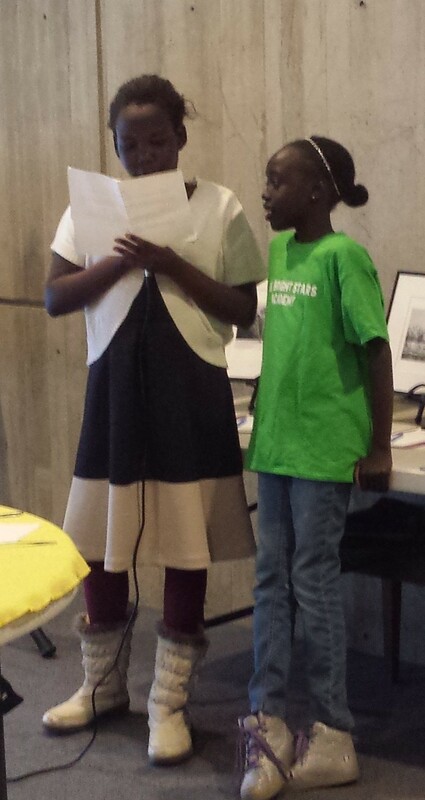 This summer might bring a new experience for fourth graders Nyankoor Anyang and Rosa Kuku. Along with their teammates from Chittenden County's Nile Bright Stars Academy soccer team, the students hope to spend a week at Rock Point Camp in Burlington. The entire local Sudanese community is rallying behind them. "When the school is closed, the kids stay at home. That's not OK," said Chol Dhoor, executive director of the Sudanese foundation. His goal is to send all 21 members of the soccer team, who range from 5 to 16 years old, to camp so that they stay engaged and healthy over the summer. "This is the first time we are reaching out, and here we are, getting some help," said Dhoor. 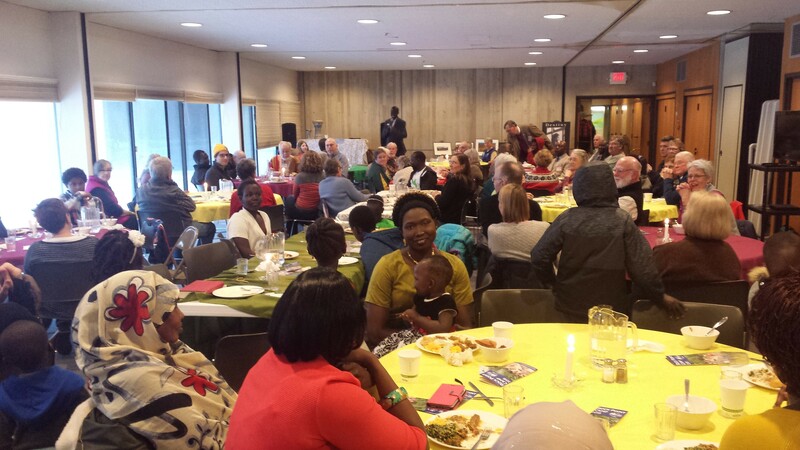 He estimated that about 90 people attended the dinner, which was prepared by women from the Sudanese community. The church's Jubilee Justice committee helped to sell tickets to congregants and organized a silent auction. "The idea of the dinner is really to raise some money, but also to get to know some people ... to create some friendships," said Tim Parker, who chairs the committee with his wife, Heidi. Bishop Thomas Ely was among the attendees. He's been the Episcopal bishop since 2001, the same year that the first Sudanese young men left refugee camps in Kenya to be resettled in Vermont after fleeing war in their country. As part of a peace deal brokered in 2005, a referendum was held in 2011 that led to the eventual creation of South Sudan. 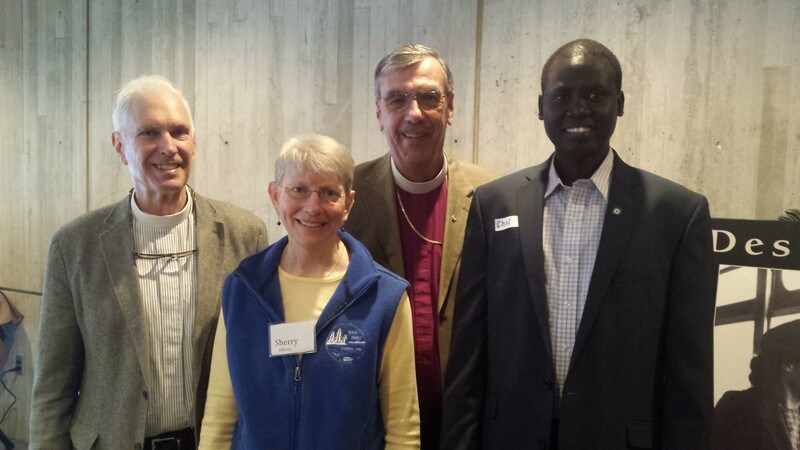 "The Episcopal Church has had a long relationship with our Sudanese friends, and to see the kids now and the families, and have them participating in the life of the church, it just delights me," said Ely. Dhoor described the bishop as a "longtime friend" of the Sudanese community and said his presence meant a lot. "It shows the support and how he cares about us, what we're trying to do." The St. James Episcopal Church in Essex Junction welcomed and helped the first Sudanese arrivals to get settled in Vermont, said Stan Baker, the deacon at St. Paul's. But in the last year and a half, Baker continued, more South Sudanese families have joined his congregation in Burlington. "We've had several baptisms of the kids from these families," he noted. "Camp is a special place," said Osborn. "If a camper wants to come to camp, we're going to find the money." The camp has already offered some scholarships to the Sudanese community, said Dhoor. And he's hopeful that the fundraiser will enable all 21 kids to attend. Dhoor also has some words of advice to other families. "If other communities can do the same, we can help a lot of kids to be in summer camp."